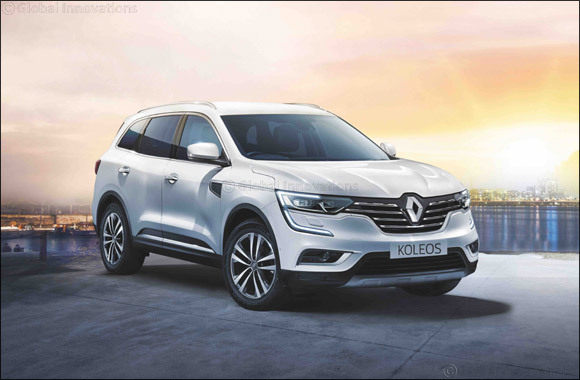 Kuwait – 23 December 2018: Abdulmohsen Abdulaziz Al Babtain Co., the authorized agent of Renault in the State of Kuwait is delighted to announce that customers can avail of the exciting offer that comes with the Renault Koleos 2019. The outstanding offer includes a ten year warranty and 50,000 KM free maintenance this festive season. Ensuring unique driving experiences, it comes with ambient lighting, panoramic sunroof, 8.7” touchscreen tablet with R-Link 2 multimedia & navigation system, and Bose® Sound System. Further backed by a wide interior with premium looking, refined materials and details, high tech digital cluster, ventilated power seats, wide door opening, cooled cup holders, generous storage space & sliding armrest. Renault Al Babtain urges its Renault fans to avail of the benefits that accompany the new model during the limited time offer.